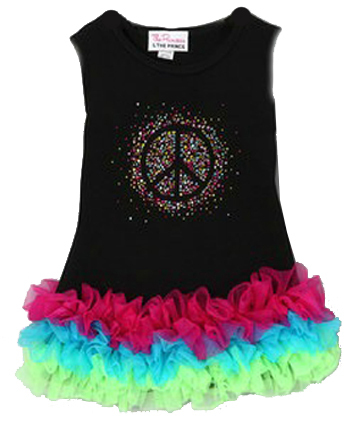 Are you looking for something extra cute, trendy and sparkly for your little ones Easter outfit? Tired of the same ole' boring outfits offered by your local clothing store? If so, we have the perfect outfit for her special day. 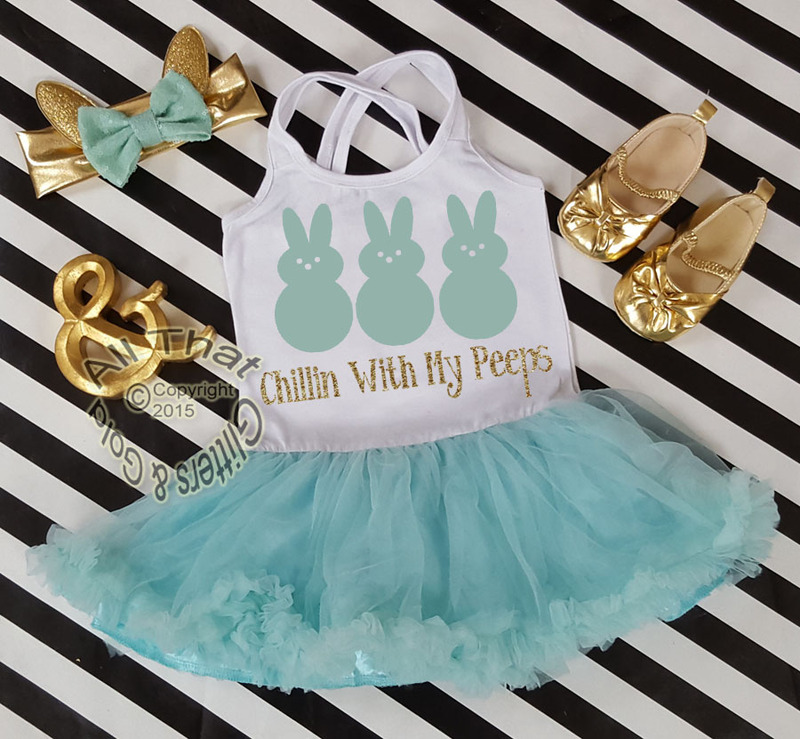 This very cute Chillin with my Peeps Easter tutu dress is to die for. 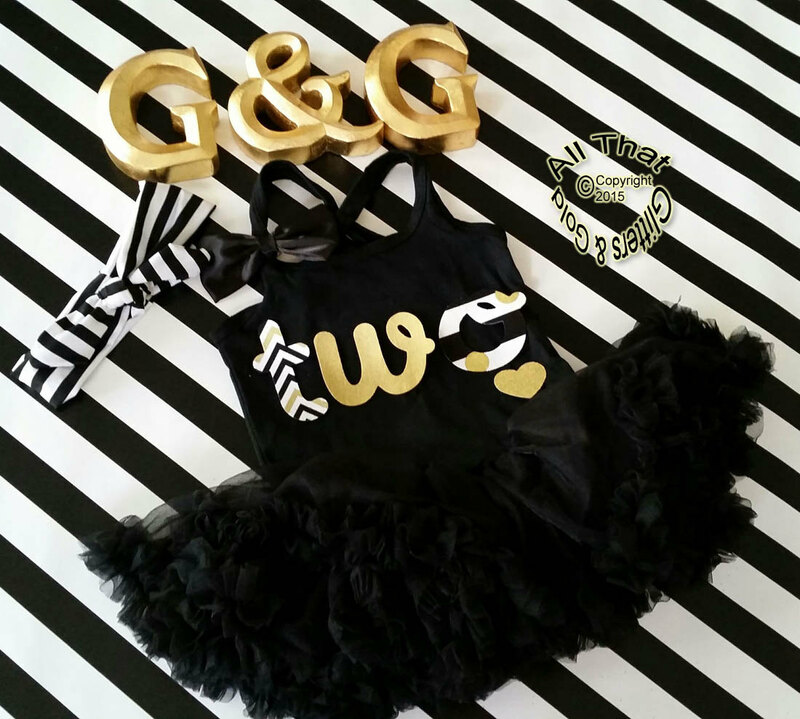 Designed with a sparkly gold glitter Chillin with my Peeps design on a fluffy tutu dress. It also has a removable bow that is attached to the shoulder with an alligator clip. You can remove it and add it to your litle ones hair or leave it on the shoulder for that extra cute flair or add a gold headband to the outfit for that extra touch. Size: S Age 3-4 Chest 19"-21" Length 19"
Please allow up to 2.5 weeks to 3 weeks for your order to be created, plus shipping time.